Can you believe Jason Giambi is still playing baseball in the major leagues? He’s been with the Rockies for the past two and a half seasons, but not as a full-time starter. A couple weeks ago Giambi was in the news for popping three homers in a game against the Philles. 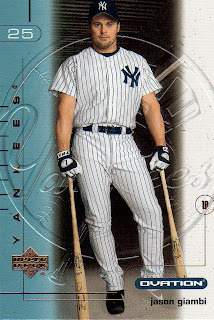 Giambi never won a ring with New York, and hasn’t won a ring with any team. Nowadays, the first thing people think of when they hear Giambi’s name is steroids.